This definitely makes applying for a passport way more convenient! 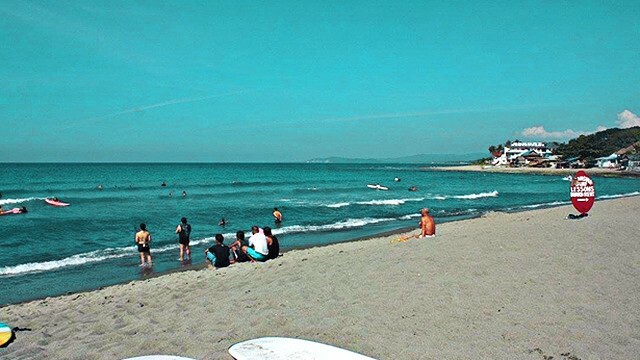 (SPOT.ph) Due to popular demand, the Department of Foreign Affairs in June opened 100,000 passport appointment slots online in an effort to accommodate Filipinos and their passport needs. 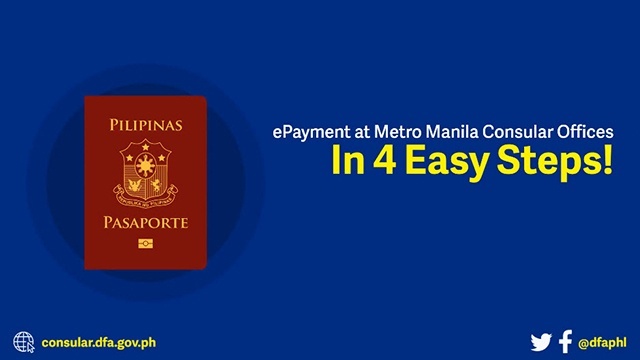 Now, the government agency takes it one step further with their new passport ePayment scheme, which allows passport applicants to schedule their appointment online and pay for their processing fee in authorized payment centers around the Metro. 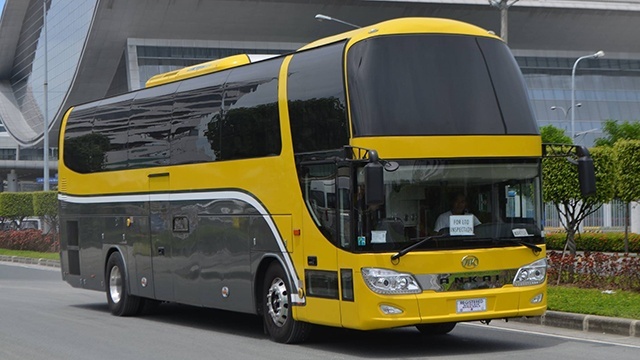 The new service is currently only available in the National Capital Region, but will be available nationwide by the first week of August. Check out this step-by-step guide on how you can use this new convenient application system. The first step is to schedule your passport appointment online. 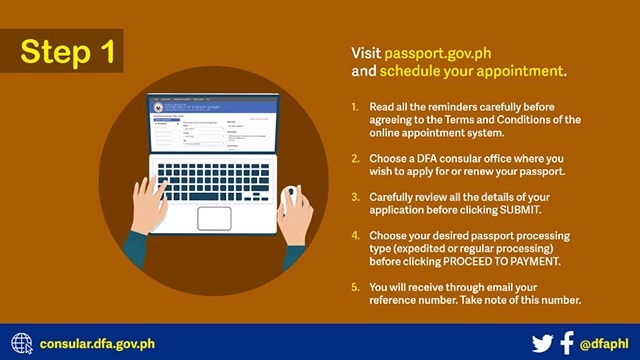 After choosing your preferred Department of Foreign Affairs (DFA) consular office and confirming your appointment schedule, you will receive an e-mail containing your reference number. 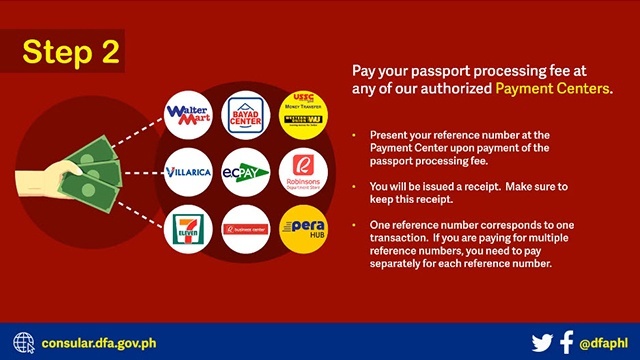 Next, you need to pay your passport processing fee (P1,200 for expedited processing and P950 for regular) at authorized payment centers, such as 7-Eleven, Robinsons Department Store, and Western Union, among others. You will be issued a receipt, which you must keep. 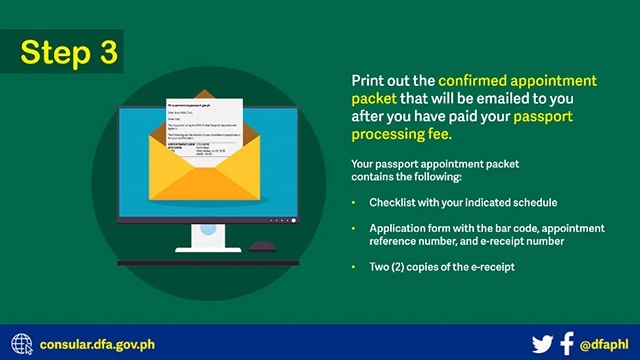 According to the DFA website, applicants will eventually be able to pay the processing fees online. After this, you need to print out the confirmed appointment packet that will be e-mailed to you. This contains the following: A checklist with your indicated appointment schedule, your unique passport application form, and two copies of your e-receipt. 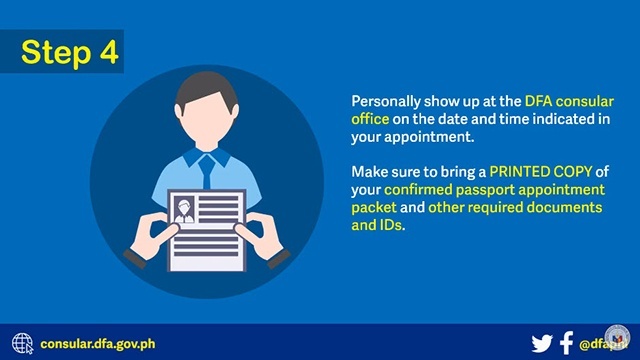 Finally, show up at your scheduled appointment at your preferred DFA consular office. Don't forget to bring your printed confirmed passport appoinment packet, as well as two DFA-approved government IDs! For more information, log on to the Department of Foreign Affairs' Facebook page.